Should you take your children out of school for a term-time holiday? Many parents – myself included – argue that time spent away with parents is just as valuable as time in the classroom. And, yes, I have taken my kids out of school for a holiday. The legal situation in the UK remains confused. 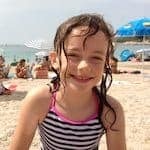 A parent in the Isle of Wight who refused to pay a fine for taking his daughter out of school won his case after the local authority appealed to the High Court, and lost. The situation now isn’t clear, but many parents are booking holidays before term ends and prices rise, particularly in June, one of the best months to go away. It’s possible that the UK government will act to close this loophole with a new law, so it might be a good idea to act quickly. Not only will you avoid the motorway traffic jams and airport mayhem of the school holiday periods, you can also save a lot of money. In terms of where to go, I suggest you look at my page about May half-term week. Anything that works then will usually work well in June. Of course, it’s different if you have preschool children (up to 4 or 5), kids who are finishing primary school at the end of Year 6 (age 10-11) or teenagers who have just completed their GCSEs (age 16) or A Levels (age 18). In those cases many parents feel totally justified in taking their kids out of school in late June, before the summer holidays. A quick look at the weather around the world in June will help you focus on where or where not to go – and it’s also informed my choice of recommended family holidays below. June is also glorious in the Mediterranean – long sunny days, little rain and warm seas, with the intense heat of July and August yet to come. The further east you go, the warmer it gets. Crete, Cyprus and the Turkish Riviera will be reaching the high 20s, with sea temperatures from 22-24°C – warmer than anywhere in the Med. Nearer to the UK, the Spanish Costas won’t be quite as hot, with daytime temperatures more like 25-26°C, and the sea around 20°C. The Balearic Islands will be a degree or two cooler, but still perfectly good beach weather. 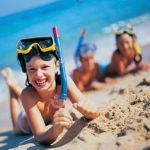 Away, from the Med, several parts of France and Spain are ideal for activity holidays before the big heat of mid-summer arrives – see the best family holidays in France and the best family holidays in Spain. Iceland, Norway and Sweden make great touring destinations, bathed in the midnight sun if you go far enough north. By June, the Middle East and North Africa are already getting seriously hot, with temperatures regularly hitting the mid-30s – not something you might want to subject babies or toddlers to. Stick to a beach resort, though, and there should be a cooling sea breeze. Although global weather patterns are rarely predictable, June usually witnesses the arrival of the summer monsoon in India. High heat and humidity (and warmer seas) also affect other Asian destinations like the Maldives, Sri Lanka, Thailand and Vietnam. Continue south of the equator towards parts of Indonesia and northern Australia and you will find drier, sunnier, less sticky weather. The coast of East Africa is also fine during June, with highs of 30°C and balmy seas – but fewer hours of sunshine than the Med. It’s mid-winter in South Africa during June, with sunny days and cold nights in the interior and the odd rainy day in the Western Cape. Florida and the Caribbean have hot, humid weather in June, although there’s always plenty of sunshine and often a cooling Atlantic breeze – and the risk of tropical storms is low. June is a great time to visit the Canadian Rockies on a self-drive or ranching holiday, and it’s also prime time for trekking in the Andes of Peru. June is a great month to travel with this age group – the heat of summer is yet to sweep the Med, airports are less crowded and the availability of decent family accommodation is usually still high. Not surprisingly, self-catering is a popular option with young children in tow. It offers flexibility and independence – and you can get some great deals in June. 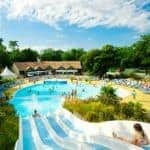 Siblu has good-value holiday villages across France in mobile homes with big swimming pools and a range of sports facilities. The childcare for littl’uns is excellent with a Bubbles Club for one- to four-year-olds. You can also hand pick the exact holiday home you want. Villas offer a home-from-home atmosphere and there’s no shortage to choose from. You can rent luxury villas on Greek islands such as Corfu and Paxos, or find stylish homes with pools on the pretty island of Kefalonia. I also recommend these villas in Pendamodi in the Cretan countryside. In Spain, too, you’ll find some excellent baby- and toddler-friendly villas in Mallorca and Menorca and on the mainland in Catalunya. I like these villas for families in the pretty town of Sitges near Barcelona, while the Algarve also has no shortage of luxury villas. In France, see these villas in the Dordogne. Self-catering is becoming increasingly popular in Croatia with villas both on the coast or close to villages with shops and bars. You can usually find special offers in June. For the ultimate in childcare and stylish accommodation, check out this selection of luxury staffed villas in Mallorca and the South of France – each one comes with a chef and nanny. Alternatively, why not invite granny and grandpa along, or share the cost of a bigger property with another family or two? The Big Domain has an impressive portfolio of large self-catering properties. 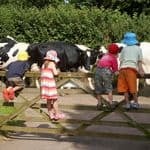 In the UK, I recommend this great line-up of family-friendly cottages in Cornwall, Devon, Dorset and Somerset from Classic Cottages. Rural Retreats has baby-friendly cottages across the UK, each one equipped with essentials for babies and toddlers, including stair gates and a travel cot. I also like this selection of 5,000 self-catering properties from Sykes Cottages. If you prefer a hotel to self-catering, there are some great properties in the UK that excel at childcare and family facilities. The Sands Resort Hotel in Cornwall has family suites, an OFSTED-approved crèche and loads for kids to do. They really go the extra mile to help families on holiday with babies. For comfortably hot weather during June, head to the eastern Med. The Sani Resort in Halkidiki, Greece, is great for kids, has lots of facilities and beautiful beaches. The Italian island of Sardinia has stunning beaches, and very good family hotels such as Forte Village and Chia Laguna. In Puglia in the south of Italy, the Kalidria Thalasso & Spa Resort is perfect for families with very young children. See the latest special offers. For an all-inclusive long-haul holiday with babies and toddlers, I also recommend these family hotels in Mauritius. If you really want to splash out, The Residence Mauritius caters impeccably for families with children aged 3+. Also check out these all-inclusive holidays in the Caribbean. Key Stage 2 SATs are usually done and dusted by mid- to late-May, with many primary schools winding down at the end of Year 6 by putting on a school production or engaging the children in less academic work. It’s a time when you might consider asking permission for an early summer holiday. However, you are more likely to have this granted if you’re planning a trip with some educational benefit, rather than simply a beach holiday. In Cornwall, Gwel an Mor has five-star wooden lodges and its own wildlife centre where kids can learn about local critters on expert-led night walks, badger watches, rock pooling forays and falconry sessions. Take advantage of the long summer dies in the north of Scotland on a sailing cruise in the Hebrides. On a small boat sleeping six or eleven passengers plus crew, you can explore the mountains and lochs of remote islands such as Mull, Jura and Iona, and see dolphins, porpoises, sharks and otters. How about a working farm holiday, helping out with feeding the animals? Or an action-packed family activity holiday with PGL where your kids could learn new skills like abseiling and archery? Weekends, four-night short breaks and weeklong holidays are available. Kingswood Camps also have a wide range of multi-activity holidays in the UK for children aged 8 and above, as well as specialist holidays focusing on just one activity. 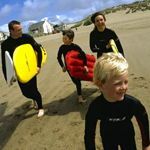 The Sands Resort Hotel is a great base for learning to surf on the North Cornwall Coast, while The Merton Hotel in Jersey has an Aquadome (pools, slides, fountains, sauna and steam room) along with a superb outdoor pool complex, including a Flowrider where kids can learn to surf. In Turkey, Mark Warner’s new Phokaia Beach Resort is set on a spectacular beach. 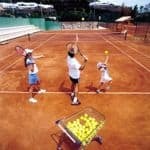 Children can get stuck into watersports, tennis and other activities, supervised by experienced staff and tennis coaches. See the latest offers. Also in Turkey, Simpson Travel has a beautiful collection of boutique hotels and luxury villas in charming resorts such as Kalkan. The family-run Kalkan Regency hotel is outstanding. If you like to be on the water, cast off on a traditional sailing gulet along the coast of Greece, Italy, Turkey or Croatia, dropping anchor in sheltered coves for a spot of snorkelling, or going ashore to explore traditional villages and ancient ruins. Or take the wheel on a flotilla sailing holiday in the Mediterranean. 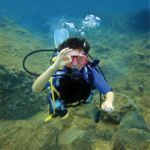 If you prefer to keep to terra firma, try these activity holidays in Spain. You could also take an independent family walking holiday with Inntravel, where you walk from hotel to hotel with no fixed itinerary as your luggage is transported for you. Popular destinations include Spain’s Catalan Coast and the Italian Dolomites. 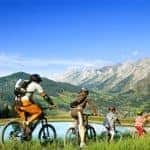 Inntravel also has some excellent self-guided family cycling holiday in unspoilt regions of Europe (our favourites are Mallorca and Catalonia). Routes are easy, on quiet roads and paths, your luggage is transported for you, and there’s a friendly family hotel at the end of each day where you can rest your legs (or jump in the pool). In the Alps, Inghams offers great value accommodation, superb childcare and lots of mountain activities in resorts such as Morzine and Chamonix in France. See its full family lakes and mountains programme. Peak Retreats, meanwhile, has a fantastic selection of budget family apartments for summer holidays in the Alps, plus some plenty of inspiration for activities, including new road cycling itineraries. For a June holiday with a cultural twist, Crete is full of archaeological intrigue – Year 6-age kids will love exploring the home of the Minotaur and there’s some lovely accommodation on the island available from Cachet Travel. Andalucia also has lots of cultural and historical interest, including the medieval masterpiece of the Alhambra, while Iceland – another spectacular place to visit in June – should appeal to keen geographers with its heady mix of bubbling mud pits, roaring waterfalls and active volcanoes. Don’t overlook the possibility of a European city break with the kids. Temperatures will be a lot more comfortable in June than later in the summer and there are plenty of family-friendly options available from Kirker Holidays. I also recommend the Kids Collection of boutique city apartments from i-escape. June is a good month to go on safari in Zambia – Aardvark Safaris can tailor-make a trip that includes private safari houses with your own vehicle and driver. Find out more. Thailand is a great introduction to Asia for children of all ages. Head to Northern Thailand for village cycling, hill tribe encounters, rafting on the Mae Taeng River and a hot air balloon ride. See more family holidays in Thailand and the latest offers. Check out Rainbow Tours for family holidays in South Africa, and Natural World Safaris for exciting wildlife safaris in Madagascar. 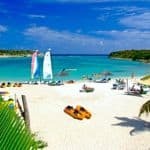 Good family options in the Caribbean include Round Hill Hotel & Villas on Jamaica. If your kids love nature and wildlife, the Galapagos Islands is as good as it gets, where the Theory of Evolution comes dramatically to life. 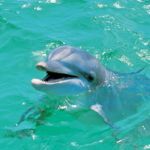 This Discover Galapagos tour includes giant iguanas, sea lions, turtles, dolphins, rare birds and penguins and so much more. If your teenager is toiling over GCSE and A Level exams during June, a holiday at the end of the month can be both a well-earned reward and a good incentive for revising hard in May! Some teens – particularly 18-year-old post-A Level students – may have plans for an independent escape with their mates, but there are also plenty of family holidays appealing specifically to teenagers. Hop on a direct BA flight to Costa Rica where teens can let off steam zip lining, white-water rafting, canoeing, horse riding and surfing. This 10-day Costa Rica for Families holiday is ideal, and can be extended if want extra time on the beach. 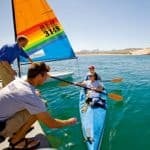 There are few more exciting destinations for teenagers than California with its combination of glamorous beaches, national parks, iconic cities and theme parks. This California Classic road trip from San Francisco to Los Angeles and the Anaheim theme parks is a great introduction with the option to add on stays elsewhere in the USA. Hands Up Holidays arranges equally unforgettable trips where your time is split between experiencing an amazing destination and working on a volunteer project to benefit a local community or threatened environment. In Costa Rica you can combine a tour of jungles, volcanoes and beaches with volunteering on a project to introduce wildlife illegally kept as pets back to the wild. Feel like really spoiling your teenagers after all their hard work sweating over GCSEs and A Levels? Best luxury resorts for teenagers include Sardinia’s Forte Village where you can choose from no fewer than eight hotels and enjoy a vast range of sports and leisure facilities. If you have your sights on something further afield, take a look at the resorts offered by Turquoise Holidays. This luxury holiday specialist is expert in the Caribbean and Indian Ocean where you can find beach beauties like Six Senses Lammu in the Maldives.